Are Ye Right There Michael… are ye right? 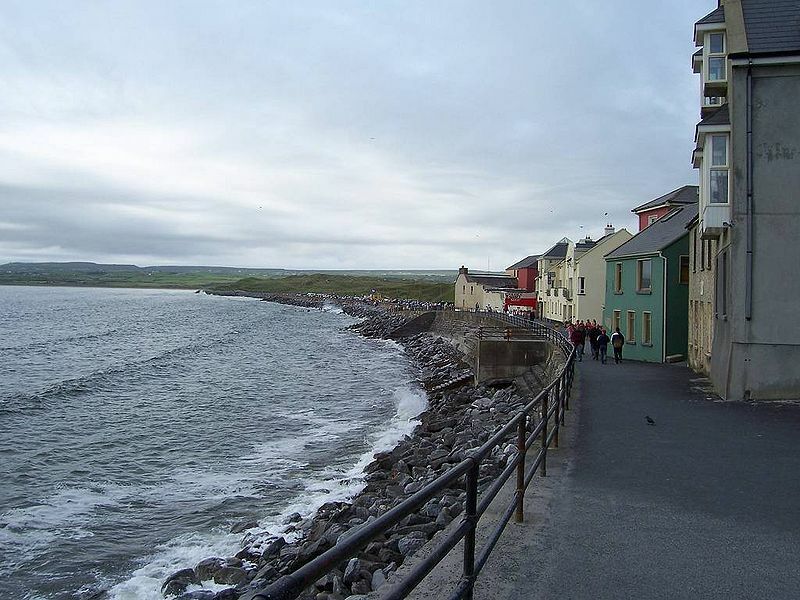 Come take a little trip with me through the West of County Clare, Ireland… the Homeland of my Great Great Grand-mother Susan Kelleher, to the accompaniment of Percy French’s rollicking tune; Are Ye Right There Michael… are ye right? From Ennis as far as Kilkee. The excursion train starting at eight. And there for an hour you’ll wait. Do you think that we’ll be home before the night? 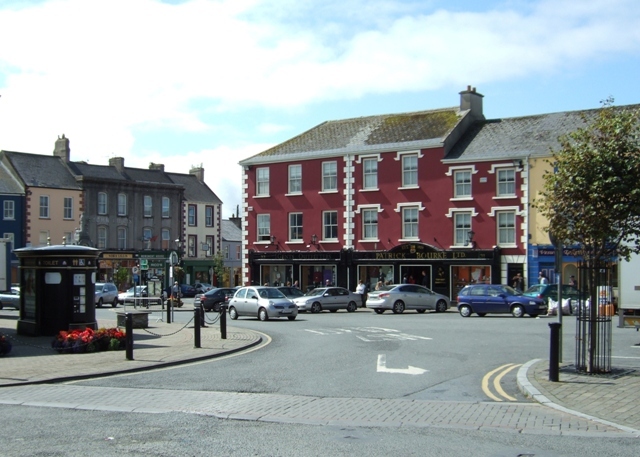 goods from Kilrush comin’ in. We’re here for the rest of the day! And the fire is teetotally out. There’s fine clamp of turf in the bog there. You’re in luck if the train brings you back. Spends most of its time off the track. As the passengers push with a will. For all the way home is downhill. Do you think that we’ll be there before it’s light? The Clare County Library writes: “In 1898 Percy French sued the directors of the West Clare Railway Company for “loss of earnings” when he and his troupe of entertainers were late for a performance in Moores Hall, Kilkee. He had advertised a concert for 8 p.m. on the evening of 10th August 1896, in Kilkee. 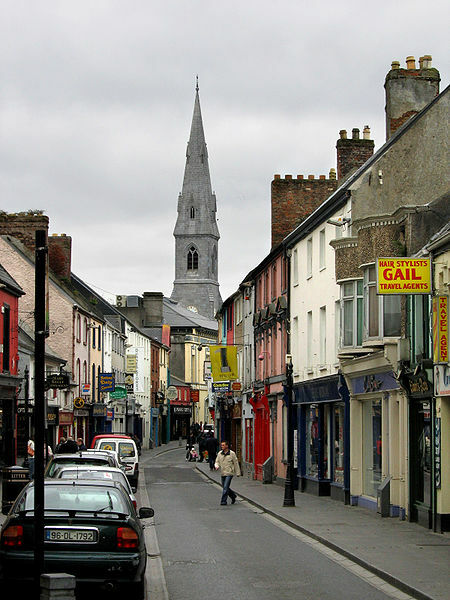 He left Dublin that morning and arrived in Ennis on time for the 12.30 train which was due to reach Kilkee at 3.30p.m. The train slowed up approaching Miltown Malbay and when it got to the station there did not go any further. Five hours elapsed before a replacement train arrived and as a result he did not get to the hall in Kilkee until 8.20 p.m. His magic lantern, which was with his luggage, did not arrive until 9.00. When he reached the hall most of the audience had gone home and the receipts were only £3 instead of the usual £14. 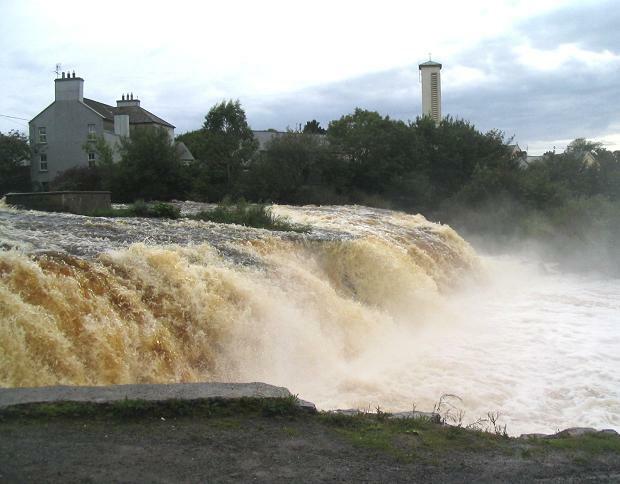 A railway company official explained that when the engine took on water at Ennistymon weeds got into the boiler. This became apparent after a few miles and by the time Miltown Malbay was reached the driver decided to put out the fire because of the possibility of an explosion. No further progress was possible and a replacement engine was requested. French was awarded £10 expenses. The Railway Company appealed but the award stood. The incident led to the song Are ye right there Michael? which became one of the most popular numbers in his repertoire. Thankyou to the Clare County Library for the photo at the top of this page. 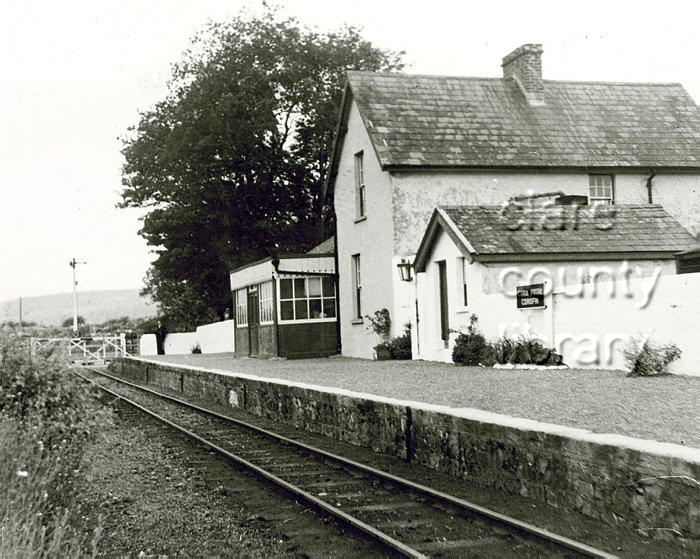 To view many more wonderful photos of the engines and railway stations of the West Clare Railway Line, held by the Library, please click HERE. 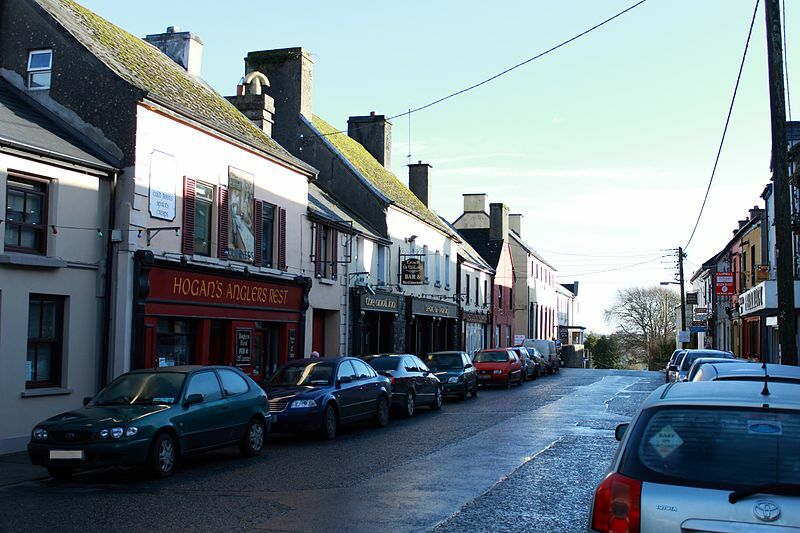 This entry was posted in Cultural Identity, Ireland, Kelleher, Song & Dance and tagged County Clare, Cultural Identity, Family History, Ireland, Patrick Kelleher, Susan Kelleher by Catherine. Bookmark the permalink. The area looks lovely–and (based on my impression from the photos) wonderfully quaint. 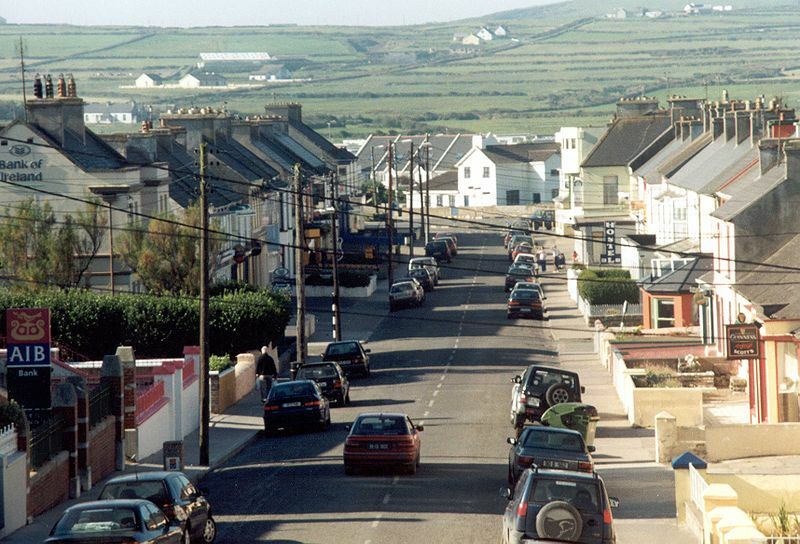 Oh Sheryl, my daughter Kirrily and I were there in 1994 and this is exactly the way these towns looked then. Sure “tugged at my heartstrings” and reached into my very soul. Thanks for the lyrics and the images Catherine…a great song which somehow reminded me of both my Irish and my railwaymen. Glad you enjoyed it too Pauleen and felt the connectedness. It’s such a fun song and took me right back to my Susan’s “neck of the woods”,between Corofin and the West Clare Railway Line, which was built some 30+ years after she was forced to emigrate in the aftermath of “the Famine”. I find that amazing. My father, Patrick Malone, grew up in this house. His father, Michael Malone, was the station master. The house has been restored and is still lived in today. I’ve been in it! My Dad gave his father’s train cap to the couple that lived there. This was around 2005.